Learn more about me, my Realty Experience and work ethic. On a visit to the east side of the Big Island nearly 20 years ago, I fell in love with the Kapoho area near the ocean. I just love the rustic beauty of this place and being able to get in the ocean every day. So I made a 5 year plan to move here and I love it! 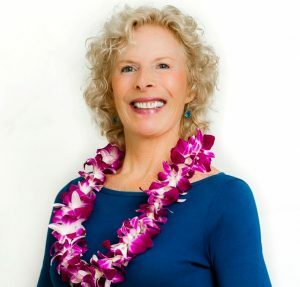 What to do when I moved to Hawaii was never a question – help other people find their dream property! I always encourage people to buy what they love. 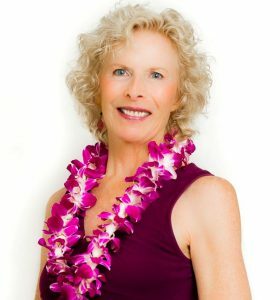 I’ve been helping people in the Hamakua Coast, Puna, and Hilo areas find their dream properties for about 15 years. Now that Kapoho is no longer in existence I am focusing on Hilo and the Hamakua Coast and I plan on moving to the west side of the island. I am willing to spend the time to help buyers find just the right property. For sellers, I showcase their homes with extensive internet exposure. I am detail oriented and have been known to go above and beyond when the need arises. I am a very active person and exercise almost every day doing yoga, aerobic workouts, walking or swimming. I am also on the Government Affairs Committee of the Hawaii Island Realtors board. Let me put the hard work, dedication, and passion I committed to my dream of moving here into helping you realize yours. Whether it’s vacant land, a pre-existing home or oceanfront property, I will serve you honestly and professionally.